Bad Cellphone Photo™ today of The Meat-Machine. One thing that is very different about life here compared to Iowa or Indiana is there are no 24-hour shops. 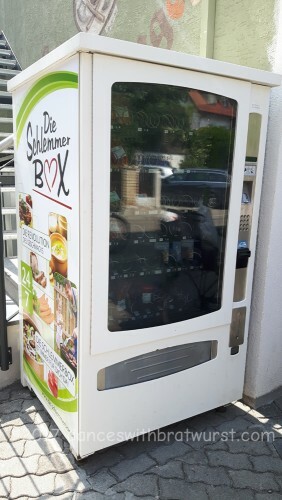 Big chain stores close at 8 p.m., as required by by Bavarian law, and small local shops close at 6 (or earlier on Saturdays). And they are all closed on Sundays, except for one grocery store at the airport. If you want to do some spontaneous grilling after hours, well, you should have thought of that yesterday. 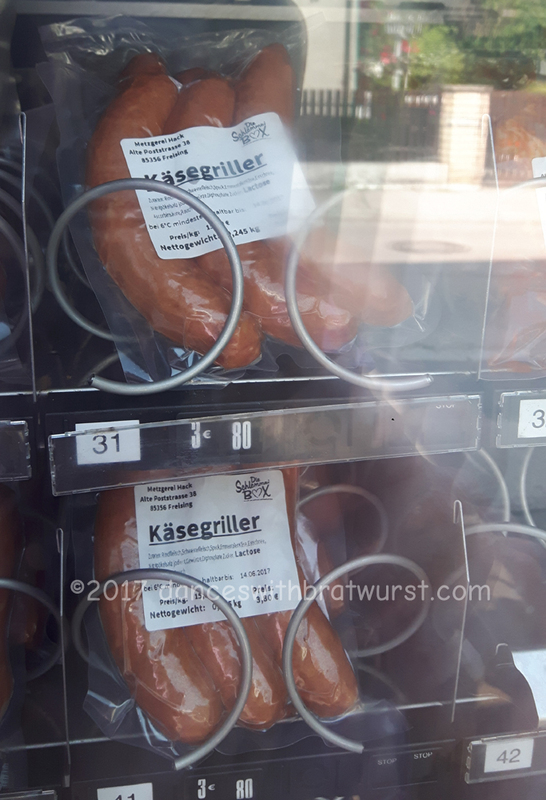 Or you can purchase sausages and small marinated steaks from a vending machine in the Alte Poststrasse. Really. I’m serious. I’ve done it. It seems to be fairly popular; on weekends with good weather the steaks sell out. It’s also not unique to Freising; spontaneous grilling seems to be a challenge in other German states as well.